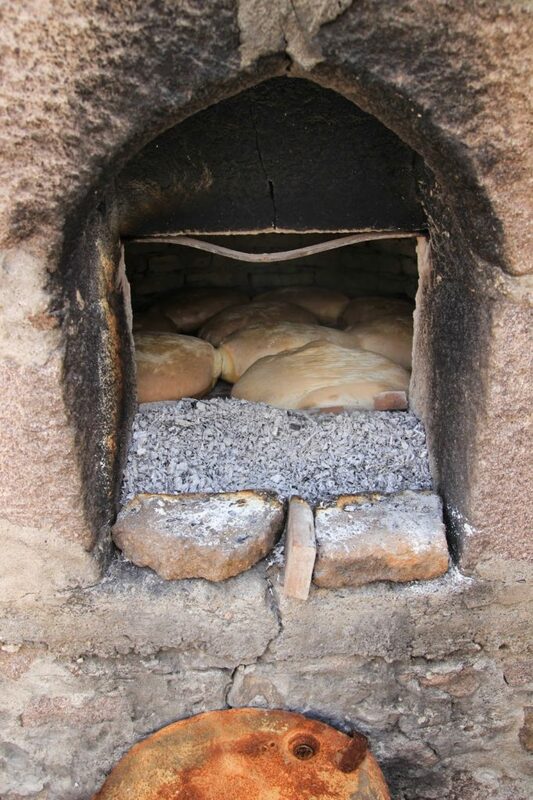 Bread-making in a Turkish Village for a Circumcision Celebration! It marked the beginning of the preparations for the double-circumcision celebrations of our neighbours Ali and Hanife‘s two sons. In case you’re wondering, the older one was actually ‘done’ in February and the little one will be circumcised later on. But the party is now! The little guys will wear their elaborate white satin suits with the capes and special hats and will literally be princes for the duration. The party is actually a two-day event with the family feeding a fair few hundred both tomorrow and Saturday. 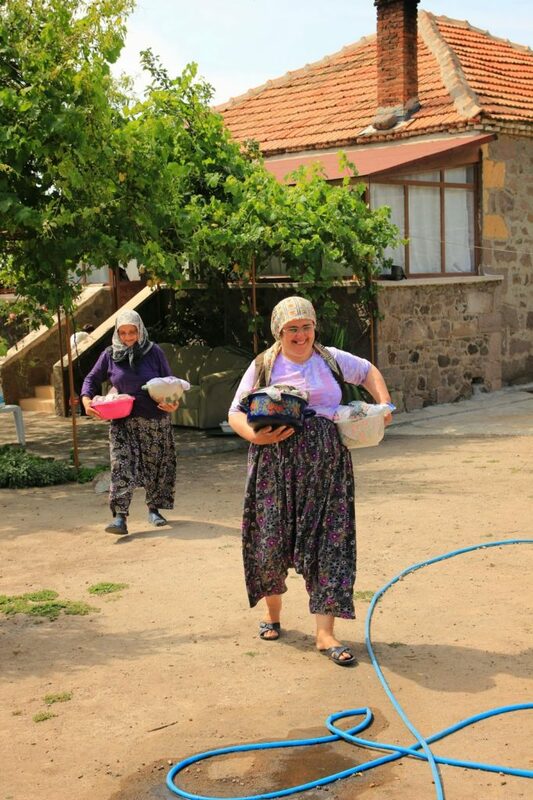 There are some things the family prepares while special ahçı/cooks will come in and set up camp in order to prepare the rest of the feast. The garden has been ready for the last few days. They have a large garden so it has all been cleared and made ready for the onslaught. The grass in the grassy bit is looking good: tables and chairs are already set out. Piles of white plastic chairs have been hired and are already piled up ready to be set out. 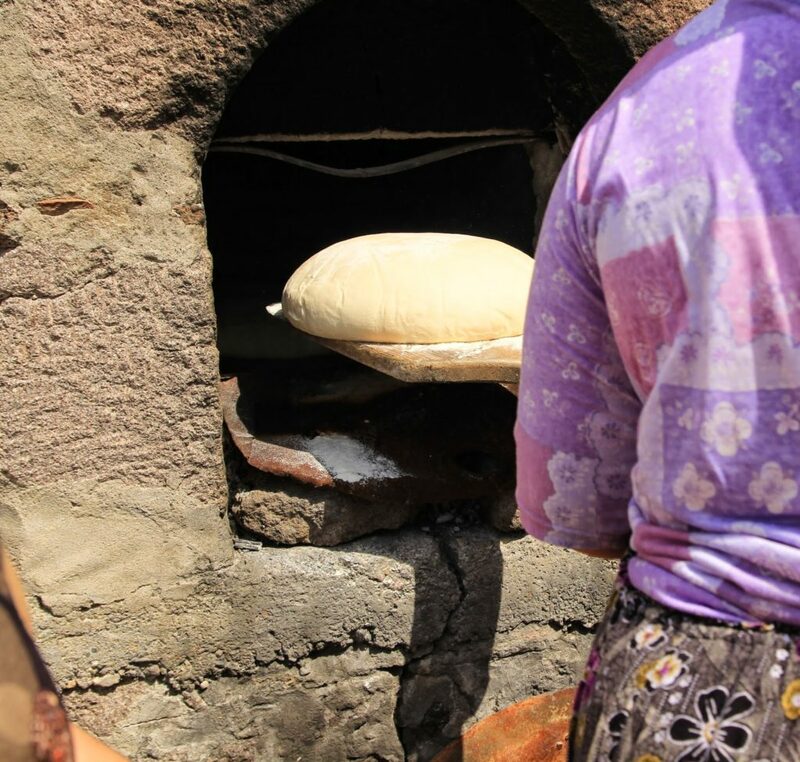 This family is one of the two prominent families in our Aegean village of Assos. 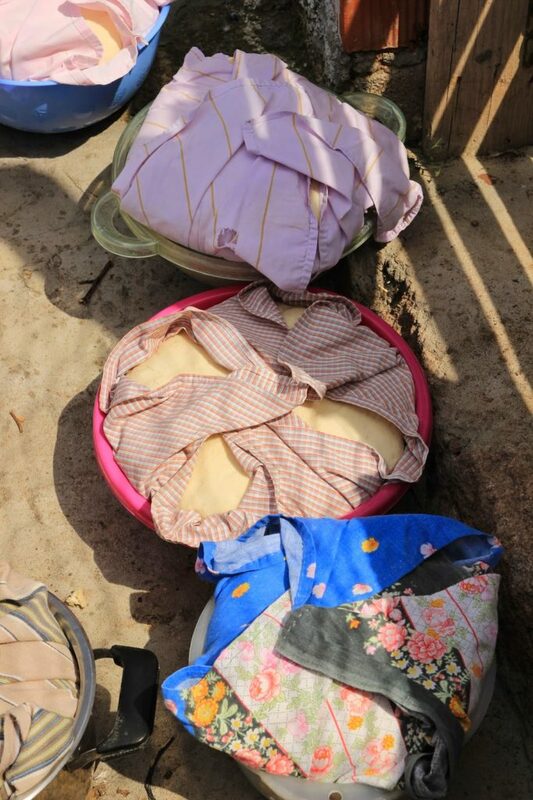 Since we have been part of the scene for more than 20 years, we are quite accepted into the spirit of all these rites of passage that mark village life. Circumcision is not my favourite one but never mind. Actually, it is this, the acceptance by the villagers, that really appeals to me about living there. 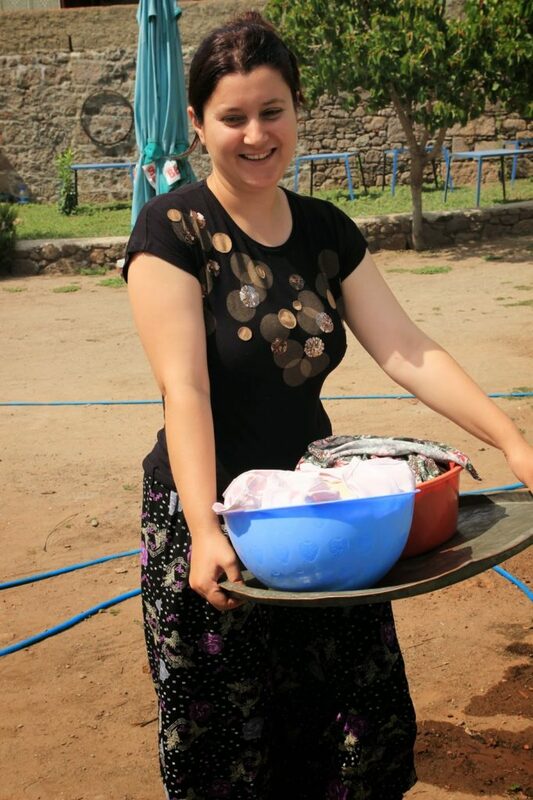 I love feeling part of village life. 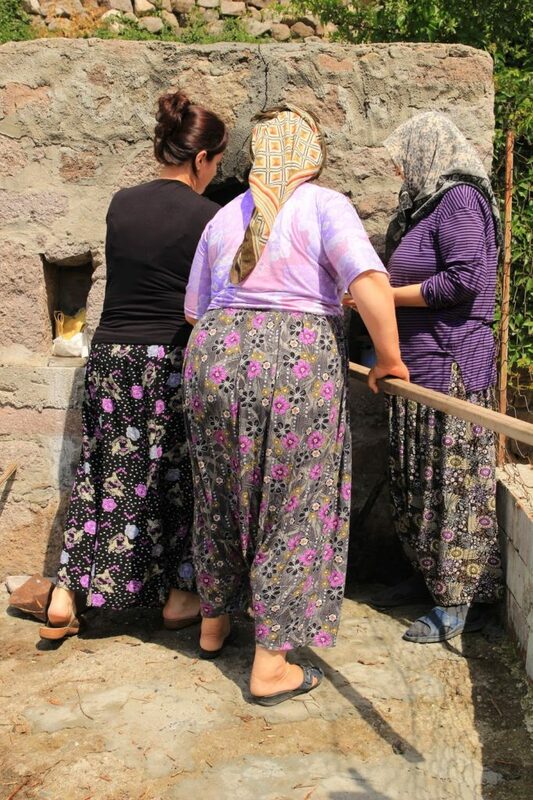 I may be a yabancı/foreigner but they seem totally happy with me – yesterday I was wearing my market şalvar– my baggy village pants – and they remarked on it, but it was fine. 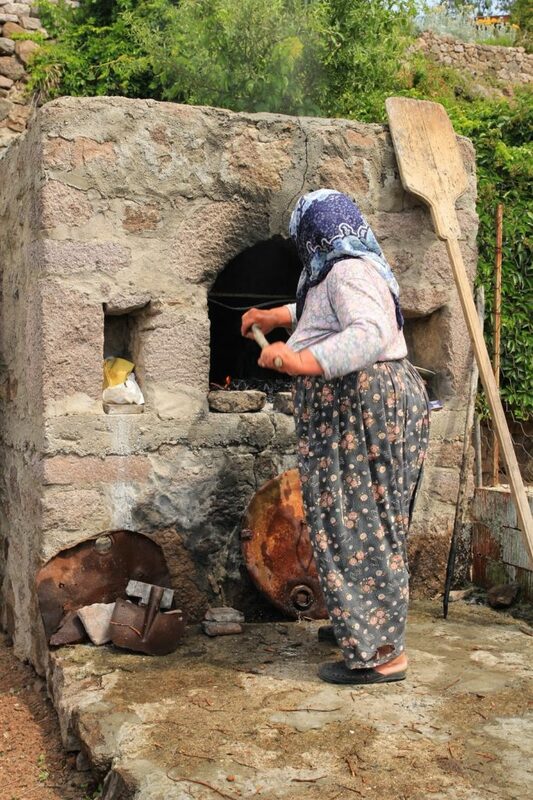 TT went over to deliver our presents for the two little princes since we won’t be able to attend, and discovered the women were making bread in the outside fırın/stone oven. As soon as he told me, I shot over and asked if I could watch and take photos. They didn’t mind a bit! But there was no posing: they were on a mission, with a lot of work to do and it was already pretty hot out there. I did my best! 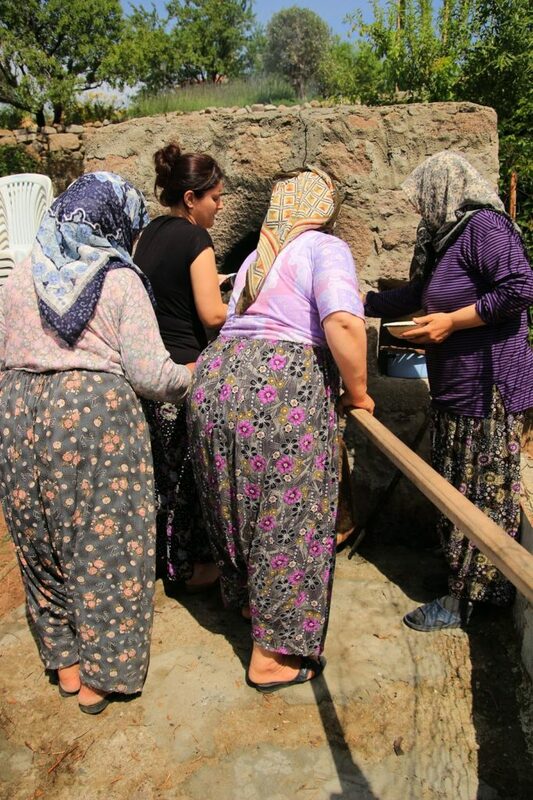 So here are a few photos: Ayşe Hanım is definitely in charge. 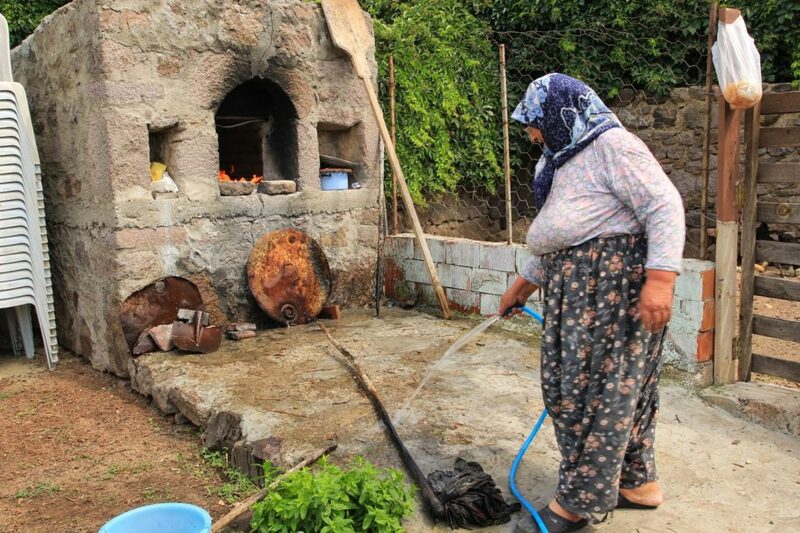 She is the grandmother and this is her house. The little gelin Hanife doesn’t stand a chance against her even though she is the mother of the boys. 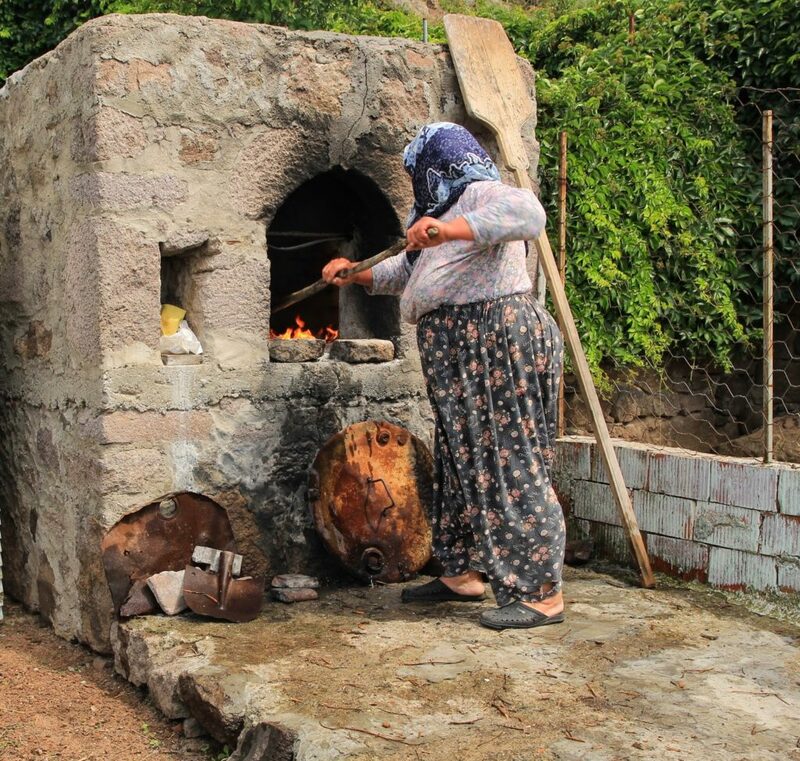 Ayşe Hanım is preparing the fire for the bread . 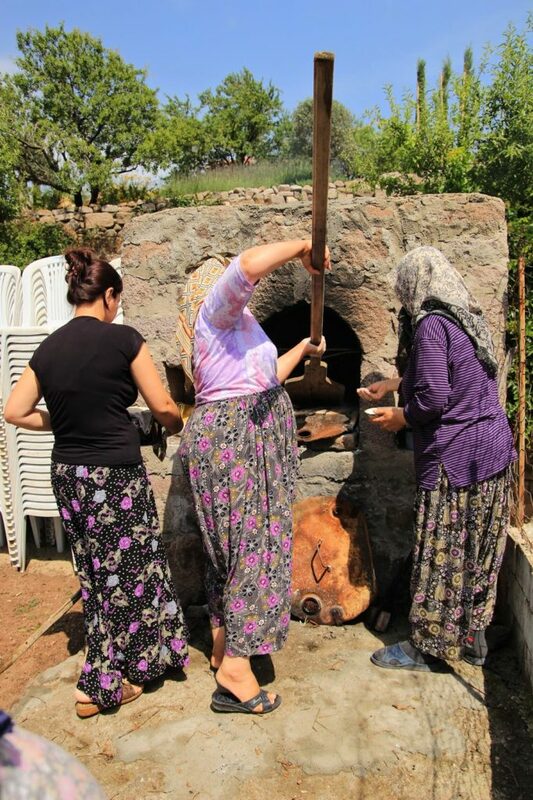 getting the oven to the right temperature is crucial..
After this excitement, Ayşe Hanım invited me inside to see the circumcision bed that was being prepared. Check my timeline on FB if you are interested! We are now back in Istanbul, having driven all day, and it is absolutely pouring with rain, thunder is rolling and I am just hoping that the long-awaited events planned for tomorrow and Saturday won’t be rained out.